Try to delete photos from iPod touch but it seems not that easy? Don't worry! This guide shows you one simple way to delete the photos you don't want on your iPod touch，no matter where the photos exist - Camera Roll, Photo Library or other albums. It's time to download AnyTrans and use it to remove those pesky photos on your iPod touch/iPad/iPhone to free up space on your iOS device. Although the biggest storage of the 5th generation is 64G now, the memory space of this device is also limited. Therefore, it is a good habit to regularly remove some unwanted and useless photos/pictures to free up space on your iPod. Some people who don't use iPod touch may think that deleting pictures from iPod touch would be so easy. But the fact is not what they think. For example, there is no "delete" option available for you to delete the pictures you synced to iPod touch. That's why we provide the tool below to quickly and easily sweep your unwanted photos from iPod touch, no matter how many photos and no matter where the photos exist on your iPod touch. AnyTrans is one professional iOS manager tool. With AnyTrans, you can easily mange photos on iPod touch by deleting, transferring or other operations. Three Transfer Methods: between iOS devices (iPhone/iPad/iPod) and Computer, between iOS device and iTunes, between iOS device and another one. 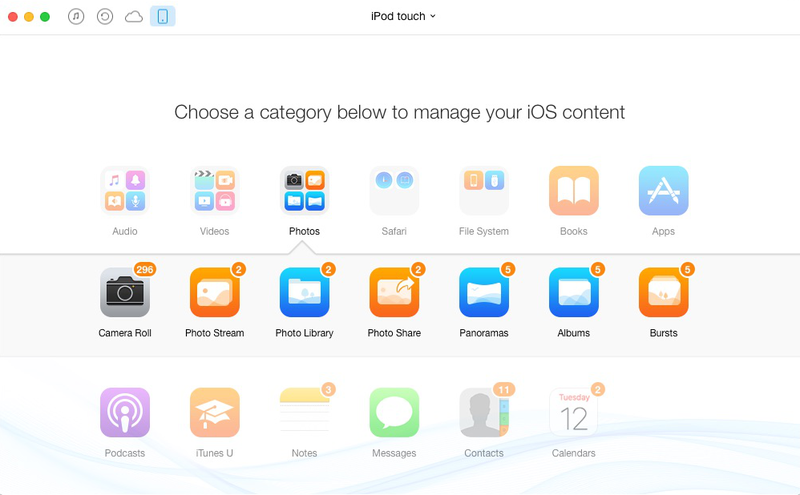 Support More Than 20 File Types on iPod touch: You can use AnyTrans to manage not only photos on your iPod touch, but also music, videos, apps, notes and other type of files. 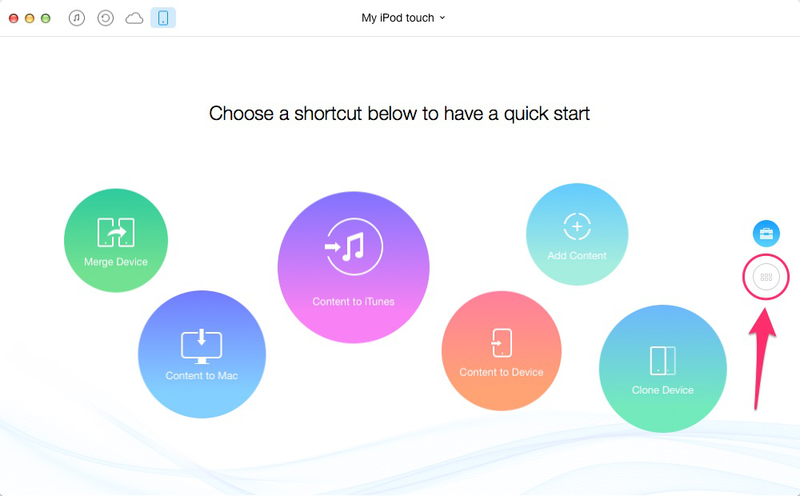 Now, let's follow the step-by-step guide below to delete photos from iPod touch in a few clicks. Step 1. Download AnyTrans and run it on your Mac or PC > connect iPod touch to computer with its USB cable. Tap on to proceed. Step 2. Select Photos > Select one photos album (such Camera Roll, Photos Library/Stream/Share, Albums, Bursts, Panoramas) you want to delete. Step 3. 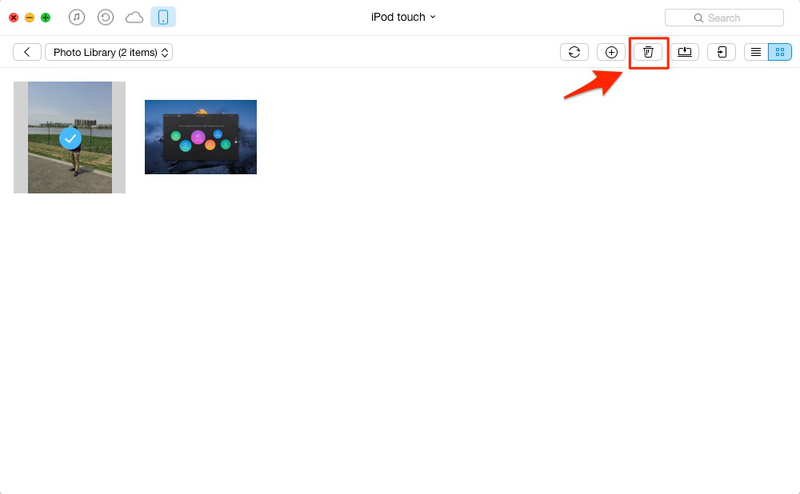 Select the pictures/images you want to remove from iPod touch > click "Delete" button. Now wait just a few minutes to complete the process. Note: You'd better backup the photos before deleting them. Deleting unwanted photos or other data on iPod touch with AnyTrans is so easy. If this post helps you, please share with your friends, and welcome any comments here.